News has reached us today that our friends at Srixon have raised an impressive £42,999 for its 2017 charitable partners, Prostate Cancer UK. The sizeable donation comes on the back of another successful year for the brand in the UK, as demand for its fifth generation Z-STAR / Z-STAR XV golf ball continues to grow. Brand ambassador Graeme McDowell joined Srixon Europe’s Tour manager Iain Steele to pose for the cameras with a cheque showcasing the impressive final donation during a recent European Tour event. The former US Open champion personally played a key part in the multi-platform promotional campaign that spiked media exposure and drove sales. The groundbreaking partnership saw Srixon donate £1.50 for every dozen Z-STAR and Z-STAR XV golf balls sold at trade to Prostate Cancer UK, helping to raise funds as well as awareness of the life-threatening male-specific disease. 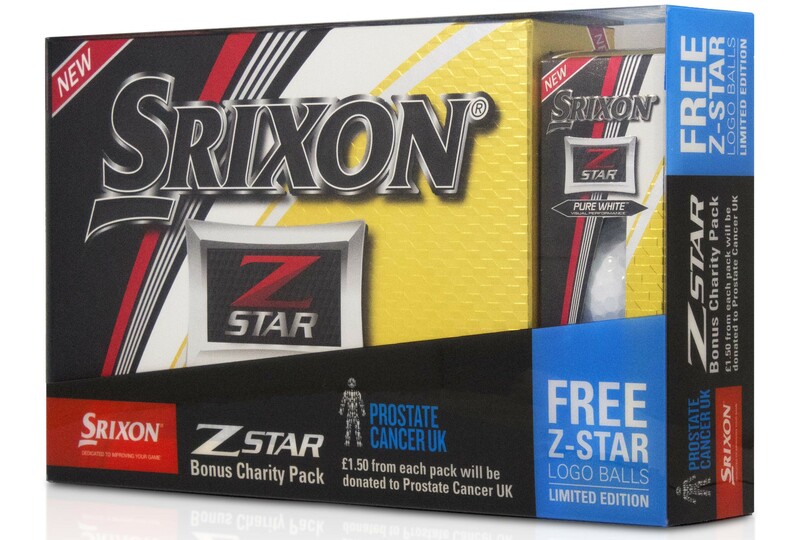 To enhance awareness for the campaign and give its loyal customers more value, Srixon introduced a limited edition 15 ball ‘Z-STAR/ Z-STAR XV Bonus Pack’ which included an additional free sleeve of the new Z-STAR / Z-STAR XV, decorated with the iconic Prostate Cancer UK logo. “2017 has been a fantastic year for the Srixon brand in the UK market and we are really proud that we have been able to raise such a significant amount of money, that we know will be put to great use in fighting such a devastating disease,” said Srixon Sports Europe's UK & Ireland President Leslie Hepsworth. One man dies every hour from prostate cancer, a stark statistic given that the average length of a round of golf is five hours. The charity’s aim is simple: to stop men dying from prostate cancer. This will be done through shifting the science over the next 10 years to focus on radical improvements in diagnosis, treatment, prevention and support.